Attention foodies, the Singapore Favourite Food Village (SFFV) is back! 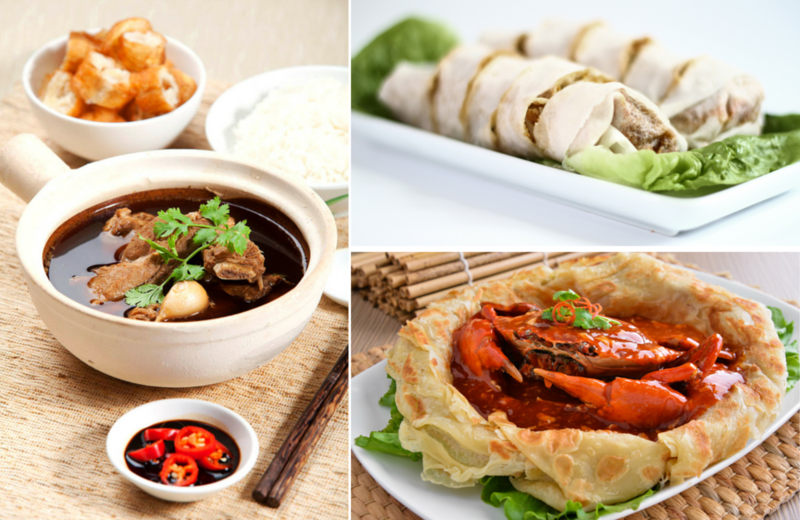 Themed “A Wok Through Singapore’s Culinary Heritage”, the festival will be held at Rochor Event Space (Bugis MRT Exit A) for a period of 10 days, from 22 – 31 July 2016! In celebration of good food, visitors (free admission yas!) can expect a helluva unique variety of local dishes with over 20 culinary partners from three different school of thoughts – Old Favourites, Modern Take and On The Go. The key feature of this year’s festival is the culinary showdown between two dominant groups of culinary talents – the traditional Old Favourites and the avant-garde Modern Take. The two waves would be presenting their version of our local dishes, where the best part has to be getting visitors to taste before deciding on the winning dish. On top of that, there will be food trucks and pop-up cafes dishing lip-smacking street food, live cooking demonstrations and street performances to keep the lively atmosphere going. We understand going through all 20 culinary vendors can get a little tough on your waistlines so listed below is are our top 5 picks of the festival. Chilli Crab in Prata Bag sure does sound like a heavenly combination. The birth of this signature dish from Big Street however, is certainly not by chance. After many unsuccessful attempts at flavour experimentation and presentation, this uniquely Singaporean dish was created. Thank you Big Street. A favourite at any food festival, we’re more than delighted to hear of Singapore’s first gourmet food truck, The Travelling C.O.W‘s, special menu! Featuring Beef Rendang Taco Bowl (slow braised beef rendang) and Chicken Rice Taco Bowl, we foresee a shiok dining experience for every foodie (self-proclaimed or not). For the health conscious, you’ll be glad to know that the chicken for the Chicken Rice Taco Bowl is prepared ala sous-vide! We’ve had salted caramel churros, chocolate churros, cinnamon coated churros, but have you head of Rainbow Churros? Inspired by the traditional Nyonya 9 Layers Kueh, Jeremy Chiang, founder of Churros Factory, had created this dish in celebration of the theme Modern Take. We’re not too sure of its taste but we’re darn well confident of the dish being social media worthy. With a variety of dishes that include Popiah (spring rolls), Kueh Pie Tee, Nyonya Laksa, Muah Chee to Ayam Koro Bun (a braised chicken in a bun), Fortune Food serves some of our most beloved childhood snacks. What we really love however, is its soft yet chewy handmade popiah skin. The brain child of Fortune Food, Souperstar is a trendy concept that combines flavours of the east and west. What anyone should get their hands on will be its Sweet Thai Chicken Popiah, Sesame Chicken Popiah and Seafood Wasabi Mayo Popiah. In case you’re wondering, their rolls are also created with its 100% handmade popiah skin. Now who is excited for the end of the month? We know we are! No better time than the present to make a list of dishes you wish to try at the festival, eh? What is the dish you’d love to try the most? Drop us a comment and let us know! Also read: Lobster Chicken Rice? Gastronomic Event STREAT 2016 Is Here! For more information about Singapore’s Food Festival, click here.